Geshev Automation maintains partner’s interrelations with leading machine building enterprises in Bulgaria, as well as with renown companies suppliers of assemblies and components. 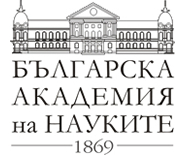 For us our partnership with the Bulgarian Academy of Science and Technical University – Sofia is also important. Geshev Automation in partnership with the Bulgarian Academy of Science has developed and commissioned specialized mechatronic systems for leading companies on the Bulgarian market. In our joint work under research issues with the Technical University – Sofia and specialized laboratories we have developed unique test stands for a range of technical means for operation in ionizing radiation conditions. Geshev Automation in partnership with Festo EOOD has developed and introduced specialized machinery for industrial enterprises in Bulgaria. For the high operational resources and wide range of pneumatic elements and devices FESTO is a desired partner in the designing of systems with enhanced operational requirements. Schaeffler Bulgaria is a partner of long years of Geshev Automation. The quality and wide selection of elements offered by the company make it a preferred partner in the designs developed by us. 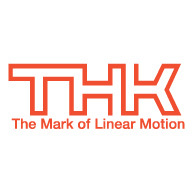 The unique solutions of THK in the sphere of the specialized guide and drive elements applicable in robotics and mechatronics are indispensable where complex trajectory movements should be realized and the structural space is limited. SEW EURODRIVE is our reliable partner in the drive sphere due to the number of solutions suitable for each situation. The high operational reliability has won many times our trust, as well as the faith of our clients. 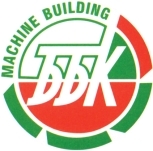 Geshev Automation is a member of the Bulgarian Branch Chamber - Machine Building.